True to its name, Big Bear is a big place. 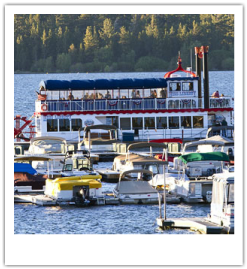 Between the mountain peaks, hillsides, the national forest and the lake itself, the supply of fun, energetic things to do in Big Bear, California is virtually limitless. 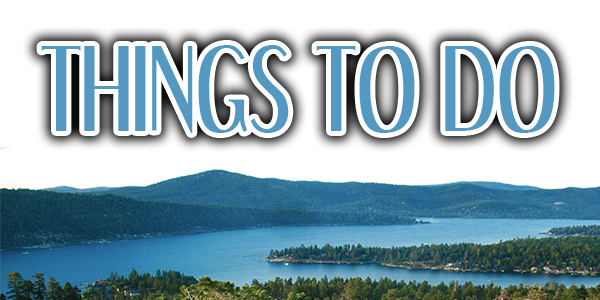 When you also consider the fact that every season brings new and exciting attractions to Big Bear, planning perfect Southern California getaways grows even more daunting. Fortunately, the Big Bear Discovery Center is here to help. 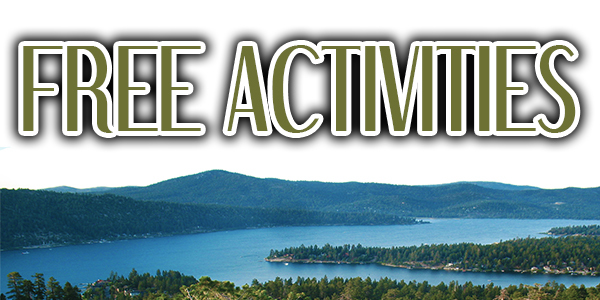 Located just a few miles from the Northwoods Resort at Big Bear Lake, the Big Bear Discovery Center is your one-stop-shop for education and information on how to get the most out of this incredible destination. What’s more, the Center is partnered with the U.S. Forest Service to ensure that all events, activities and attractions may be enjoyed responsibly and with the preservation of this profound natural resource in mind. Enjoy family fun activities year round. In the winter, natural snow and snowmaking systems ensure there is always snow for tubing. The Magic Carpet ride makes it simple to get to the top with no more walking. 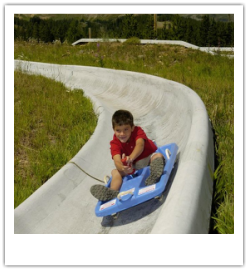 The Alpine Slide is Southern California's only authentic bobsled experience. Riders control their seed twisting and turning down a 1/4 mile long track. In the summer, there's a double water slide to cool off. 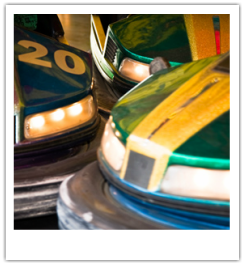 Go karts and an 18-hole miniature golf course make this a popular year-round family fun destination. 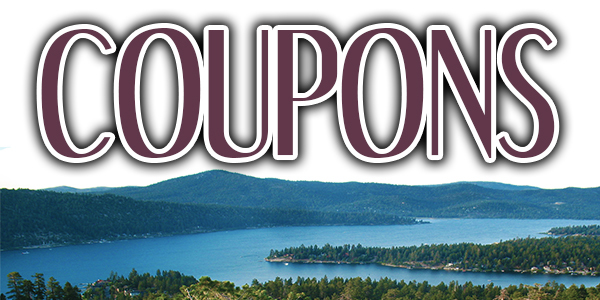 IBig Bear Funplex offers the most fun you can find in Big bear Lake, CA! 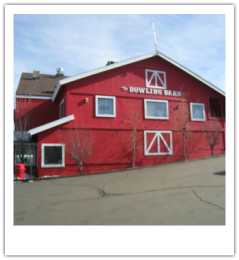 Come enjoy our amusement center, or go bowling at The Bowling Barn, or enjoy cocktails and pizza as you watch your favorite sports team on our big screen TVs at Alley Oops Sports Bar. There’s something for everyone here at Big Bear Funplex, so come on down! During the summer months, Snow Summit transforms one of its two high-speed quads, the East Mountain Express, into the Scenic Sky Chair. New this year is the Snow Summit Adventure Park, a mountain biking park and trails. 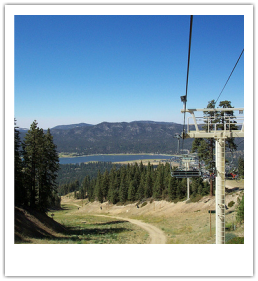 The chair lift speed is significantly reduced (lift can be stopped completely for loading and unloading upon request) to allow guests of all ages to truly enjoy the natural beauty of Big Bear Lake and the surrounding area. The Scenic Sky Chair takes about 15 minutes to transport guests from the base elevation of 7,000 feet to a summit elevation of 8,200 feet. 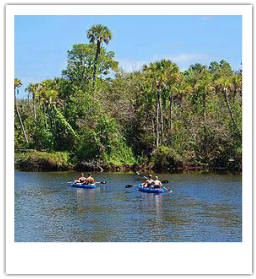 At Paddles and Pedals we offer bikes, kayaks, canoes and stand up paddle boards for rent. 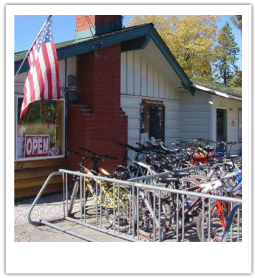 Conveniently located on the north shore of Big Bear Lake, we provide very easy access to the lake, the pedal path or the mountain bike trails. 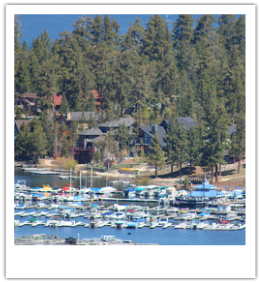 If you want to ride the scenic bike path of Big Bear Lake, please come see us. We are the only store with direct access to the path. 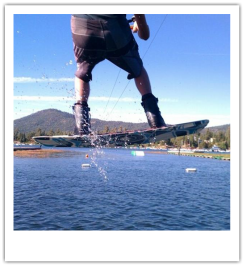 Designated Wakesports is the #1 way to have a good time on Big Bear Lake whether you enjoy wakeboarding, wakeskating, waterskiing, tubing, jetskiing, or a lake tour. 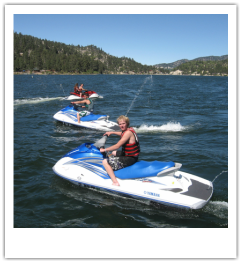 We have the newest equipment and boat on Big Bear Lake. We know how to have a good time. 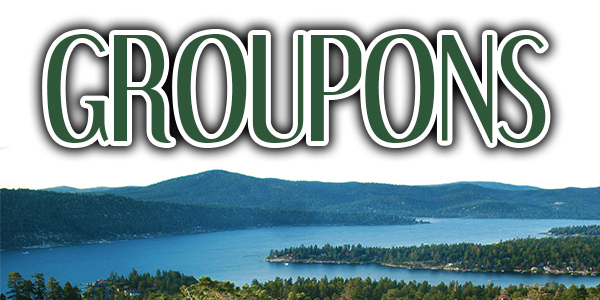 Looking for some fun on Big Bear Lake? Stop by the Ship Store at Pine Knot Landing and check out the best rental fleet on the lake. 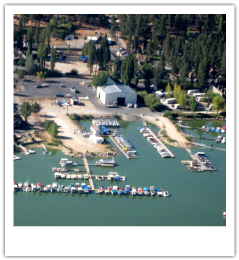 We offer a variety of rental options to fit any schedule and any budget, including, pontoon boats (22’ and 25’), fishing boats, kayaks and performance pontoon boats. 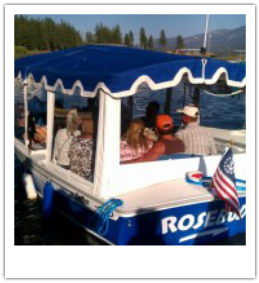 Our friendly and courteous staff would love to see you and your family set sail for a day in the sun on Big Bear Lake. 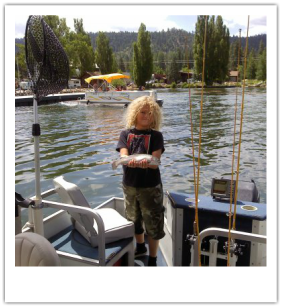 We offer the best mountain lake fishing and water sport adventures in Southern Ca. Cruise the lake on a jetski, or in one of our comfortable pontoon boats, or spend the day fishing from one of our outboard fishing boats. Nestled within secluded Grout Bay, Captain Johns’ Fawn Harbor & Marina offers numerous kayaks, canoes, boats, and stand up paddle boards for rent. Our location is excellent for weddings and family lake excursions thanks to the serene ambience that visitors hope for from an uncrowded small town atmosphere. Pleasure Point Marina remains a favorite destination for fishing and boating. 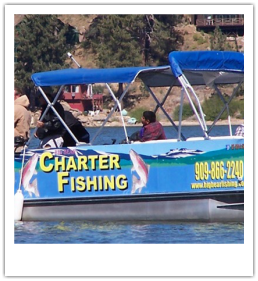 We feature a luxury fleet of pontoon boat rentals as well as a full service bait house. We are an authorized Premier Pontoon, Voyager Pontoon and Suzuki Outboard dealer. 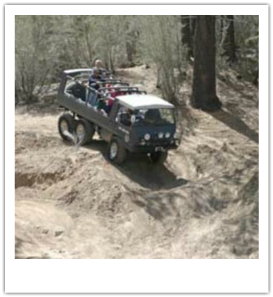 Take advantage of our fully convertible Pinzgauers to explore the ridges, canyons, meadows, streams & rivers of the beautiful San Bernardino Mountains! 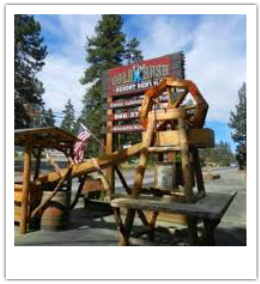 Visit historic community & gold rush sites. Experience your own "Eureka" moment and "Stake your Claim" to real treasures. Choose from a variety of mining ore. Pan your ore at our mining sluice, water flume, or dry sifting boxes. Break open geodes with our custom crack'n. Mining is "Easy to do and Fun" for all ages, doesn't take much time and can be done rain, snow, or shine.